People are typically concerned about their appearance. Whether they see themselves as too rotund or too short, they always try to obtain an ideal body shape and size. 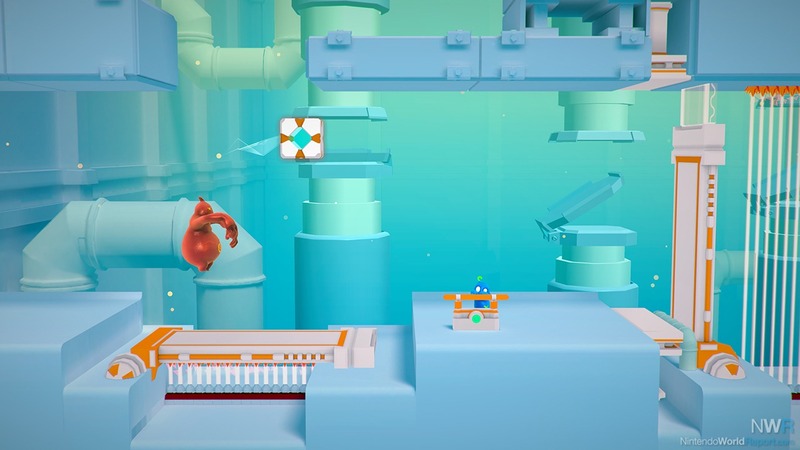 However, Klonk Games have thrown those ideas out the window here and chose to use those unideal body types to make some interesting and unique puzzles in their game, Shift Happens, a quirky, 2.5D puzzle platformer that has won over the hearts of myself and my friends. The story opens up in a lab where jelly creatures that are able to manipulate their height and weight are being created to carry out tasks. However, one of the machines goes berserk and spills red and blue paint in the tubes that create the creatures, giving life to our main characters, Bismo and Plom. The duo set out on their quest to explore the new area around them. The main gimmick is that you must exchange the weight and size of both characters to be able to solve the various puzzles that lie ahead as only one person can be large and tall while the other must be short and skinny. The premise is genius and it’s quite soothing to go through each level as Shift Happens provides a gradual difficulty curve that allows you to take in and understand the mechanics while still keeping it interesting enough to have players hooked on the idea. There are options to play in either single-player where you alternate between controlling Bismo and Plom or two-player co-op, which allows each player to control one member of the duo. 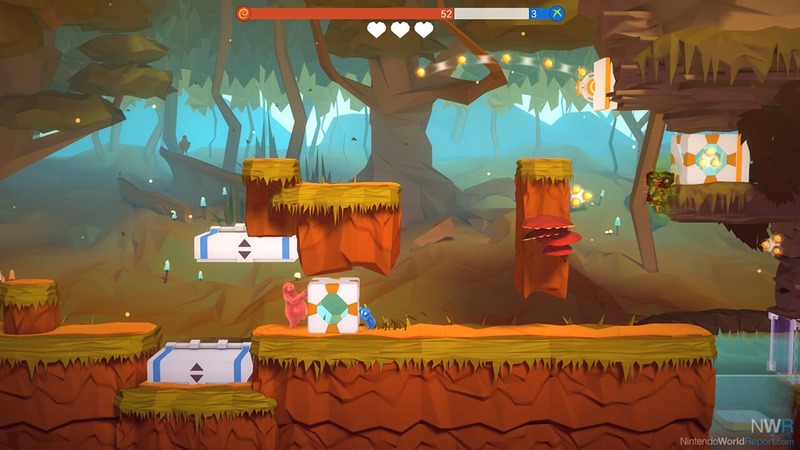 Even though Shift Happens possesses a strong single-player mode and levels that are tailored to be played by one person completely, it really shines when played with two players. It has a supportive yet playful backstabbing feel, similar to that of BattleBlock Theater. There’s just no replacement for the joy and minor frustration of trying to solve a puzzle with your friend while trying to find every possible way to make them slip up. Working in unison with one of my mates to solve each puzzle felt amazing compared to working on them by myself. It’s difficult to put that feeling of chaotic teamwork into words, but Shift Happens is perfect for conjuring up these emotions. The art style is very fluid and tranquil. The background and design of each level never have a sense of an immediate danger or a threat that is lurking in the shadows. 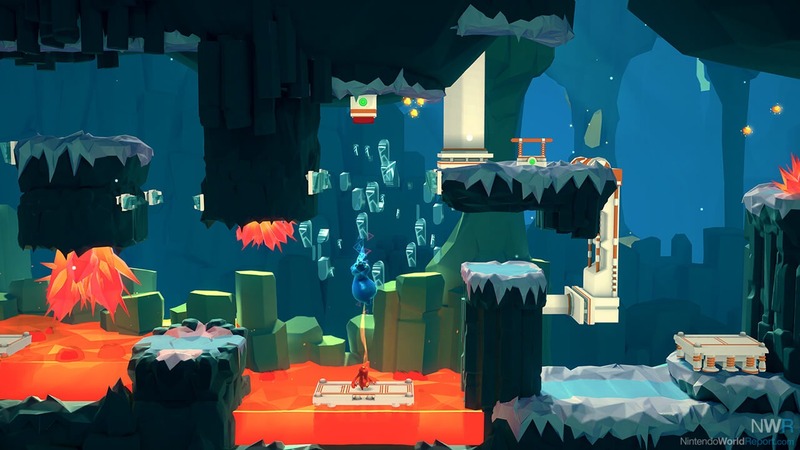 The environments manage to look calm without compromising the difficulty of the puzzle or making it seem as if players are being mocked for their failures by having an overly cutesy or peaceful atmosphere. The soundtrack also has a relaxed vibe that meshes with the scenery perfectly. It never gives a sense that the players should be rushing to the goal nor that they are performing poorly. I really liked how some of the later levels tailor themselves to having a more natural setting with the music accompanying them having sounds that you would actually hear from those types of environments. For example, in the forest area, you’ll occasionally hear birds chirping, grass blowing and water moving as you progress through the stage. Upon examining each area, I couldn’t find a single moment or part that I was displeased with. In fact, I’d even go as far to say that Shift Happens has no flaws whatsoever. I enjoyed every single moment both in co-op and when playing solo. It even left me craving more puzzle-solving madness. I hope to see if the developers consider adding DLC areas or maps to the game, but for now, I’ll keep trying to beat my fastest time in each level. However, I wouldn’t recommend this game for younger audiences and despite its appearance as the puzzles require a certain level of problem-solving that even my friend and I are in college and it took a few attempts to solve them. All in all, I can say that without a doubt this is one of the best co-op puzzle platformers to hit the eShop’s digital shelves. If you’re looking for a good game to spend playing with your sibling, cousin, friend, or family member, definitely add this one to your Switch’s library and prepare for the laughs and challenges to come.